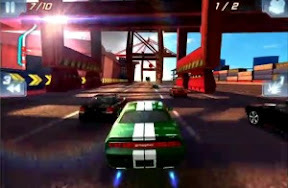 Gameloft and Universal Pictures have joined forces to launch an official game of the movie, Fast Five. O’Conner, Toretto and the rest of the gang will find themselves on the opposite side of the law once again, in this fifth installation of the Fast and Furious series. 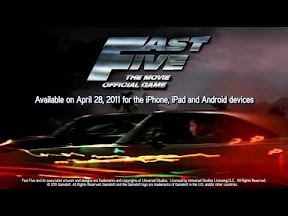 The game will be available for iOS and Android devices on April 28th, the day before the Fast Five movie hits the theaters. The explosive franchise built on speed is back with Fast Five and this model comes fully loaded! Play as Brian O’Conner on the wrong side of the law and assemble an elite team of top racers. Get behind the wheel of your dream car to battle opponents in the ultimate high-stakes racing game that follows the movie storyline.